Sticky permanent redirects placed in all bug forums. 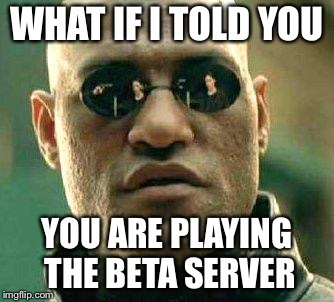 We shoulda gonerizes for beta testing. I was at half health fighting two guards deciding whether or not I wanted to zone. I decided to go link dead instead. How would I access the server to help test Chardok 2.0 stuffs?